I’m all about easy entertaining and creating yummy, eye-pleasing food that are just plain ol’ simple. 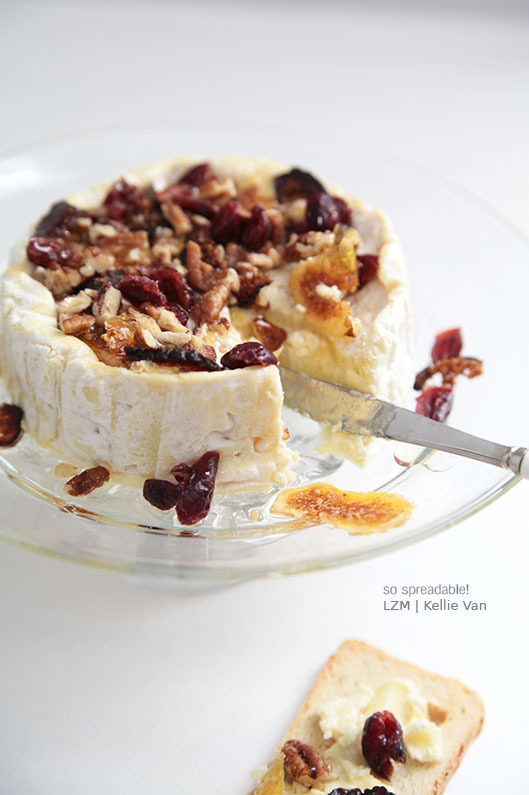 Yesterday, I fancied my favorite cheese wheel with dried fruits, nuts, and honey. It was perfect for snacking throughout the day. Avoid the cooking and mess! Difficulty level- SUPER easy peasy! Start with your favorite cheese wheel. 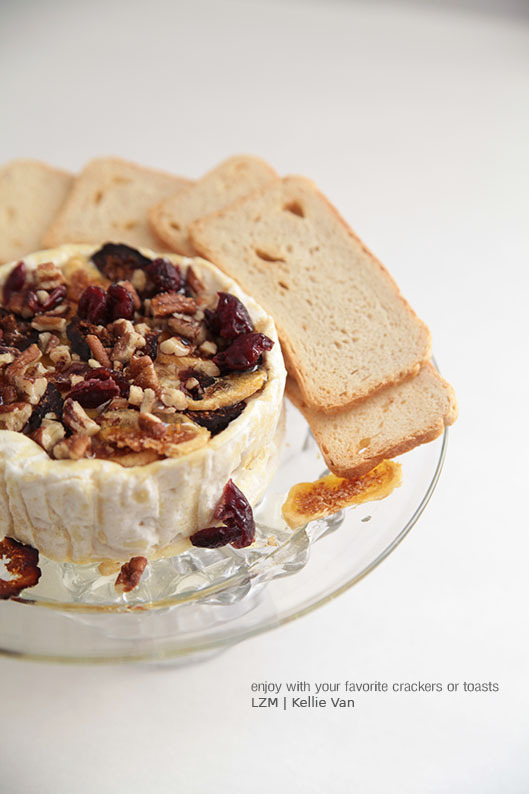 A soft cheese will work best for this purpose. I just recently discovered this brand over the holidays and it’s by far my FAV. This is coming from a person who is far from being a cheese expert. 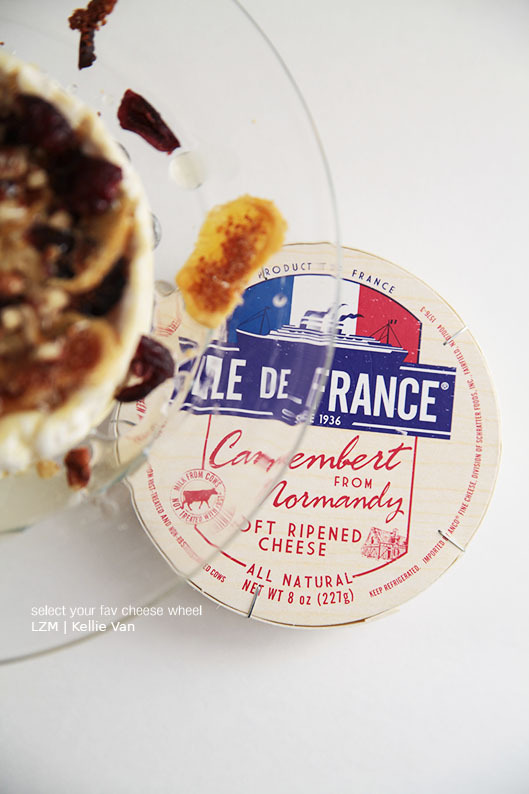 Top cheese wheel with a variety of toppings such as dried fruits/berries, nuts, jams, roasted garlic, etc. I kept it pretty simple with just dried fruits, pecans, and honey. And if you are digging my cheese stand from the first image, you can make one too- out of candle holders and plates! Here’s a post on how to create your own permanent (dessert/jewelry/cheese/cake) stands. Such a money-saver! Choose shorter and wider candle holders as base stands for cakes and cheeses. Taller and narrower ones can be used for mini desserts and jewelry as seen here. Can you imagine serving this as a starter at your next party? A perfect edible centerpiece for everyone to gather around, chit chat, and nibble on. I love this idea, and the cheese stand as well! i actually thought wen clickin on the pic on tastespotting it was sweet cheesecake..Well I love this version even more! I love cheese. Thanks for this!! oh. yum. that cheese plate is calling my name! I absolutely LOVE cheese and I’ve never thought of doing this! 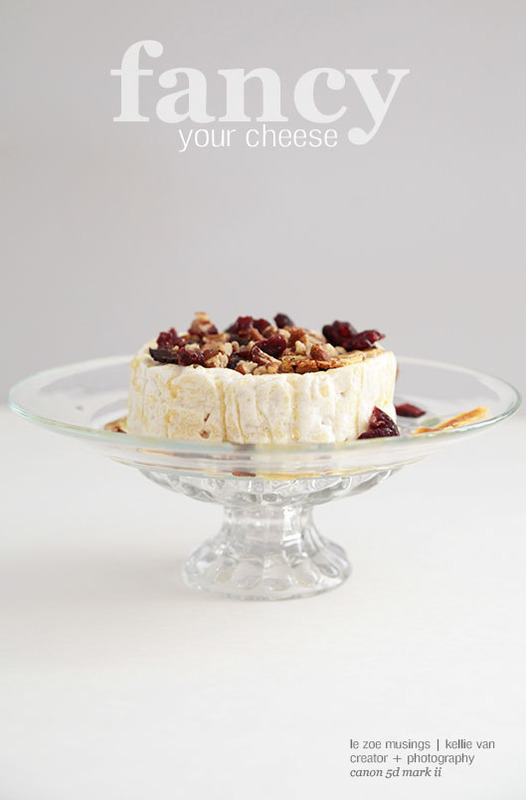 I tried this cranberry cheese when my husband and I were visiting friends in Perth and it was divine. I wanted to buy one to bring home but I never found out where they bought it. Now I can recreate it using this technique. Thanks! Thank you for liking my pizza! 🙂 And thank you also for following my blog. When I need another recipe to try, I will look through your blog. Thanks! ciao! a luvMUST…a luvFAB presentation. So yummy, and your photography is gorgeous! 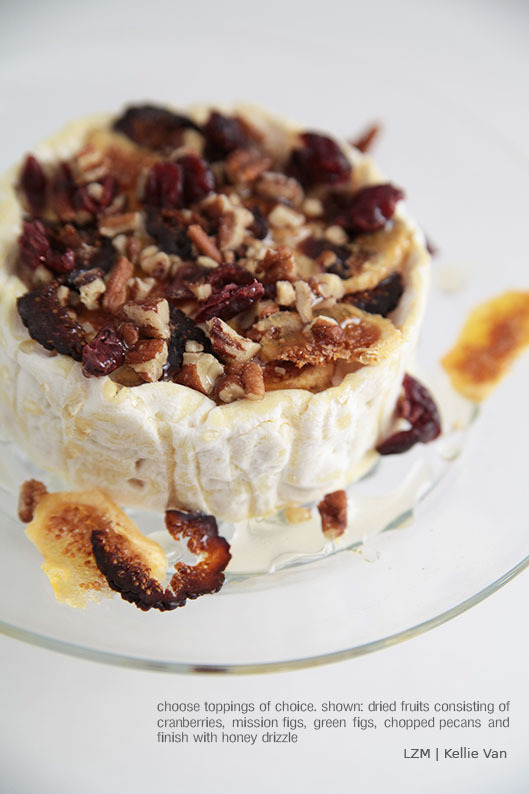 With fruit + nuts + cheese, it’s really hard to go wrong. I also love Brie wrapped in a puff-pastry and baked – the cheese gets all warm and gooey. I love this idea for entertaining! I’m pinning it now 🙂 Thanks so much for sharing! That looks so good for being so easy! Great presentation, too! I fancy my cheese! This would make an amazing starter (ultra gourmet – it could be topped with caviar)… and then a Pot Noodle for the main, and Beans on Toast for dessert. Depends if you want your dinner party to slump a bit in quality. this looks yummy. I made one similar to this during Thanksgiving. It has pistachios and cranberries on top. Yep, definitely did an “omg” when I saw you were following my blog 🙂 lol! Thanks for the follow! I look forward to your posts everyday and appreciate your creativity! You’ve definitely inspired me with some of my own photos. Such a great idea! I think I will use this formy Oscar party. Thank you!